The newest addition to our fleet.......2011 Ford F550...and YES it too has an Air Pac. This state of the art rig is equipped to handle any repairs that need to be made in the field and with Mr Stephen Wright operating the equipment, you can rest assured that your repairs will be made quickly, professionally and with that personal touch. With three Ford F450s equipped with the ultimate welding machine, the Miller Air Pak, our mobile rigs can perform almost any service at your location that could be done in a shop. The Miller Air Pak is a multipurpose welder/generator/air compressor having the capability to weld utilizing the largest of rods and with one cylinder dedicated to pressurized air production each rig has the capability to perform Plasma Cutting and Air Carbon Arc Gouge as well. The men running these rigs have many years of experience in the repairs of heavy equipment, structural steel and aluminum welding, each having various certifications. 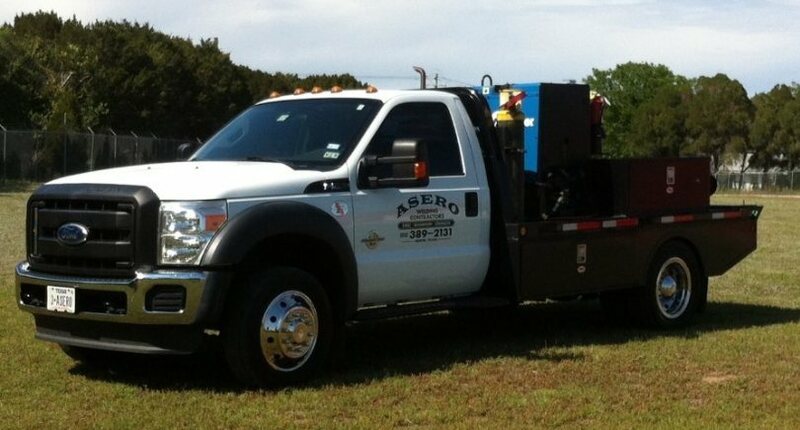 We proudly service Austin Texas and surrounding areas. 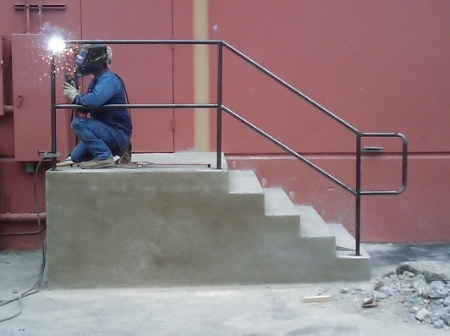 Handrails can be fabricated and installed on site to customer specifications ensuring a quality project that meets the appropriate code requirements. 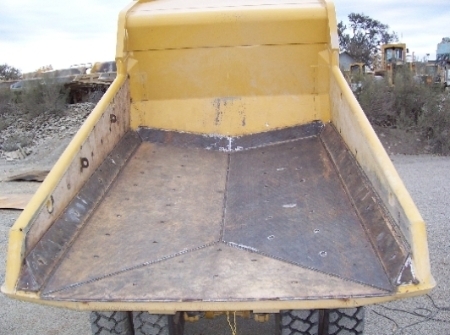 Bed liners can be installed in dump trucks as well as entire bed replacements. Above we have a 60" bucket that came to us with a crack through the 3" cutting edge. The crack was gouged out and welded back 100%.